12 years ago, I used to go to Edsa Shangri-La Hotel. Before you become too impressed, the hotel visit wasn’t anything like you were thinking. What I would do is enter the lobby, appreciate the display of grandiosity of this hotel, then go all the way to the back exit to SM Megamall. That’s it, I just literally used the hotel as short-cut to SM. I kept doing it though because I was drawn to the glamour of Shangri-La like a moth to a flame. 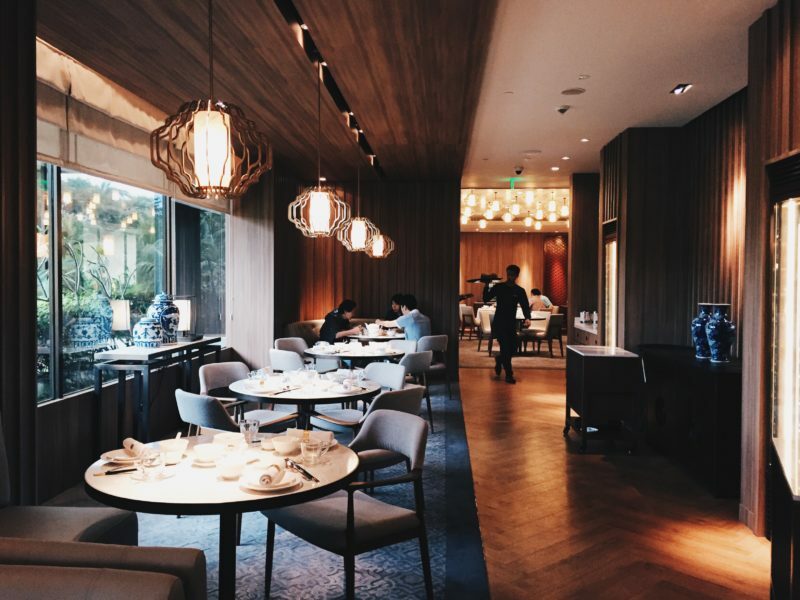 Few weeks ago, I was able to return to Shangri-La and I’m happy to report that this time, I did more than pass by in the hotel. 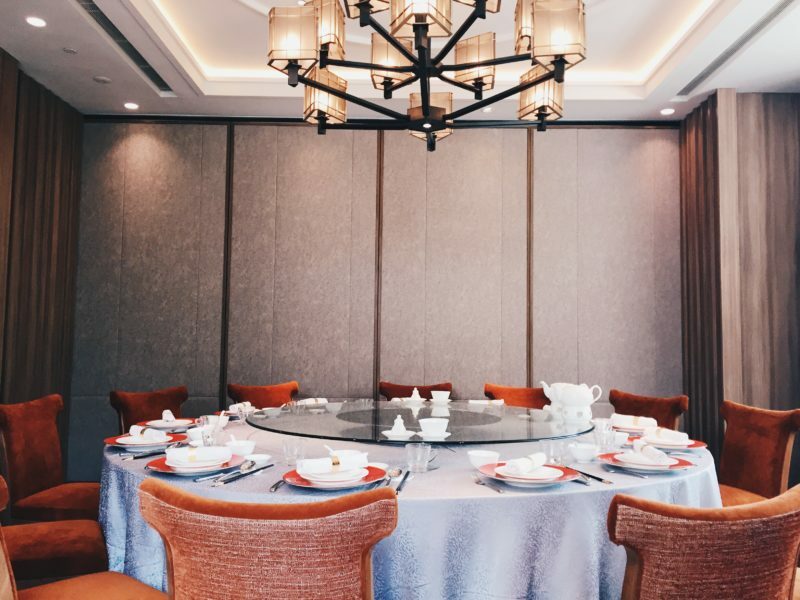 Nope it was not a staycation (I’m hoping though that I would get to do that soon 😉 ), I went there for lunch in one of the in-house restaurants of the hotel, the Summer Palace. Summer Palace has just reopened following a renovation. Because it’s my first time to visit, I cannot tell how much the interiors have changed compared with how it looked before. But I like the uncomplicated but luxurious design, the big round tables with lazy susans, dark-stained walls, curtains, and furniture. 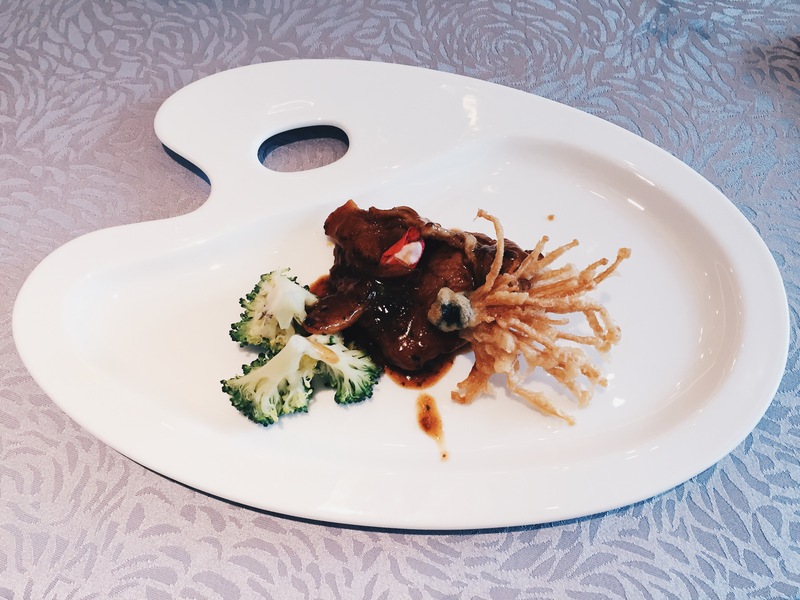 Summer Palace’s specialty is Chinese cuisine (Cantonese specifically) and during our visit, we were introduced to some of their new dishes. Today, I will give you a review of these delectable offerings. They looked so pretty I thought we were starting out with dessert. 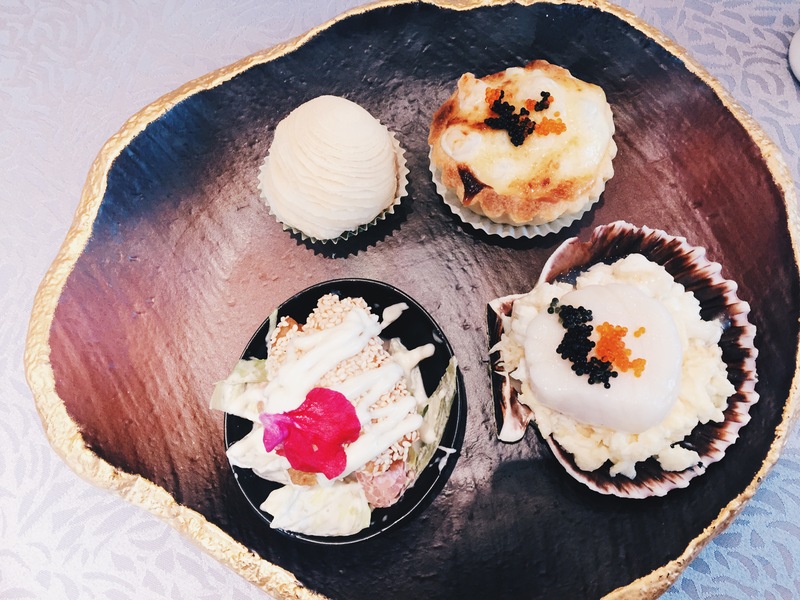 On a plate that looks like a giant clam shell, were 4 kinds of appetizers that were as pleasing to the taste buds as much as they were pleasing to the eyes. There are 1. Sautéed fresh peeled crab meat and scallops with egg, 2. Oven-baked shrimps and egg tart in wasabi sauce, 3. 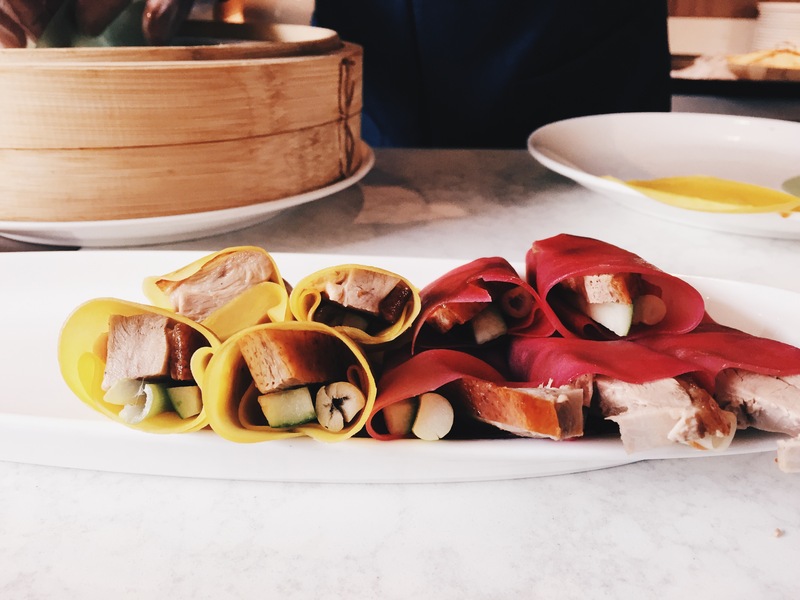 Summer Palace’s special thousand layers radish rolls, and 4. Stuffed crispy dough with minced seafood and pomelo in wasabi sauce. I loved everything except 3, not that it was bad, it was just not as flavorful as the other appetizers. Number 2 is a pleasant surprise, with a hint of wasabi that gives it that certain oomph. 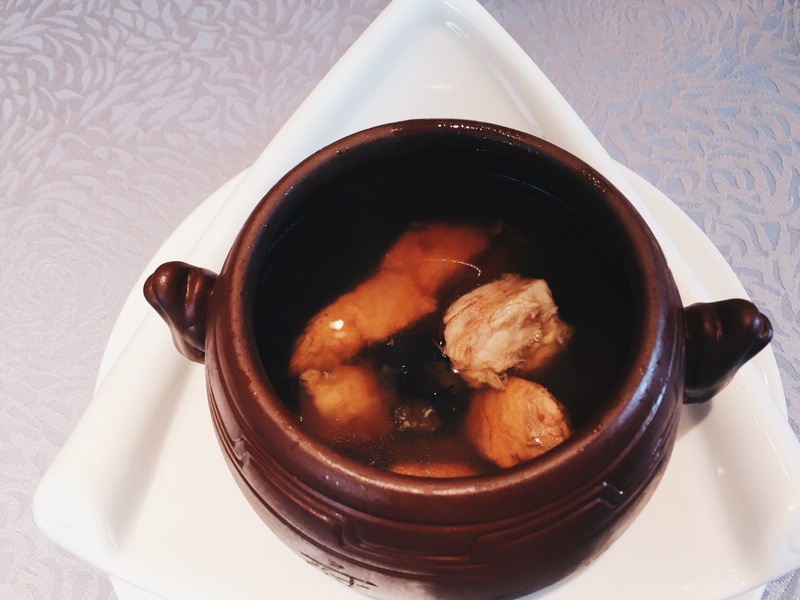 And then we were served with a small clay pot with a brown-colored broth. This soup is called, Double-boiled nourishing herb, Maca with US Kurobuta pork. Maca is a plant that grows in Central Peru often eaten baked or roasted and is being used in soups. I found the soup savory and a bit sweet, the chunks of pork tender. I honestly liked it. I was drawn by the delicous aroma of Roasted peking duck. It was served wrapped in flavored pancake that comes in different colors. You can eat it as it is or have it wrapped in pancake, either way, you will definitely enjoy this dish. The US Kurobuta pork in mamak sauce was served on a plate that resembles a palette. The meat is thin and soft and it is covered in sweetened mamak sauce. 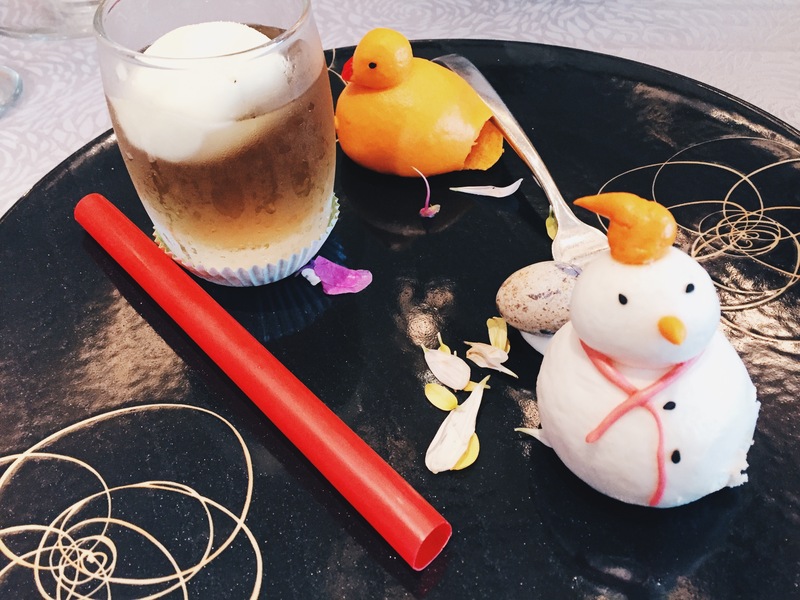 The Snowman and baby duck bun filled with egg custard was so cute, I almost didn’t eat it. Remember the food trend this 2016, salted egg? Well, this one jumped on the bandwagon. It has creamy salted egg filling, the amount of which is more generous in the baby duck than the snow man. If you are into the salted egg craze, then you shouldn’t miss this dessert. The Chilled lemongrass jelly with sherbet is equally good, with the sour flavor of sherbet balancing out the sweetness of the jelly. I’d take it though even without the sherbet. If I’m not mistaken, I attended a dinner meeting there in the past. Though my friends devoured the roasted Peking Duck, I ate moderately. It’s not because I don’t like it, but I anticipated more dish are coming. It turned-out I was right, it was an awesome gastronomical experience. 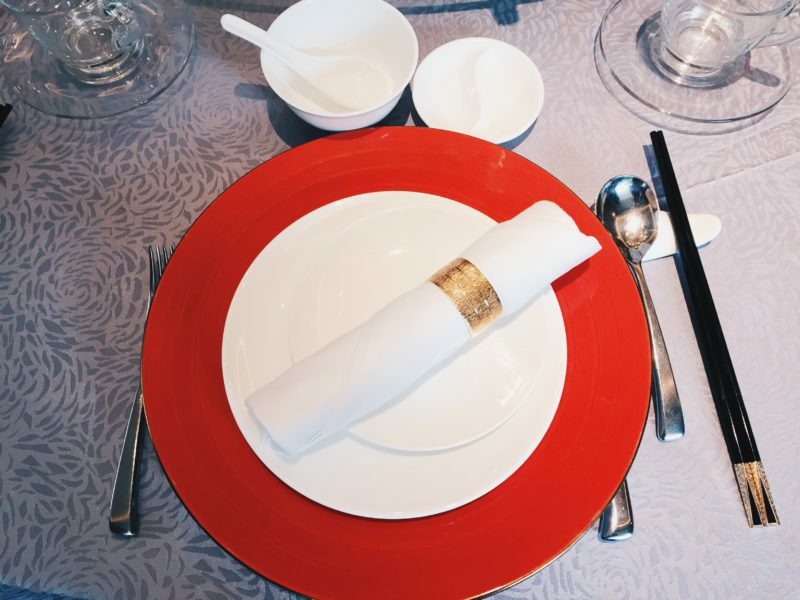 That Peking duck looks mouth-wateringly amazing, I may be drooling slightly over my keyboard. And the snowman and baby duck bun are cute as! I can see why you hesitated in eating it, but glad it was worth it. Sarap! We will be in Shangri-La soon and hoping to get an experience with Summer Palace! I’ve worked in Shang but I guess the restaurant was on renovation or wasn’t there yet when I was there. Hoping to be back soon! I’m not really fond of Chinese cuisine but just by looking at the photos you have posted, I think I may have to change my mind. I am actually drooling right now and wishing I could try them right away. Haha parang naglilihi lang! 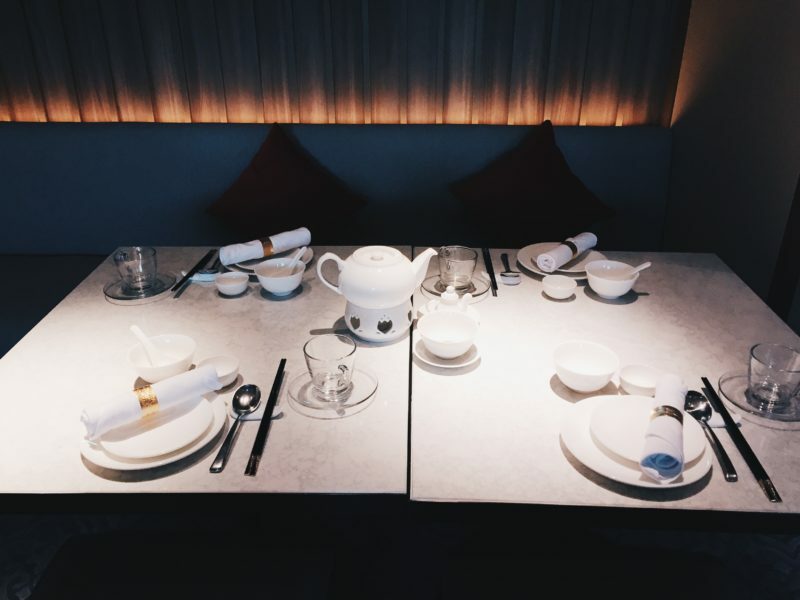 I wish I could see the texture more in the photos that you took especially that the dishes were unfamiliar. Anyway, I would love to try the US Kurobuta pork in mamak sauce. I’m curious with its taste. I can imagine it being sweet because of the sauce. However, I think their will still be a distinct taste since it’s “mamak” which I’m not well acquainted with. I also would love to try the chilled lemon grass jelly. I think it’s also good enough by itself too even without the sherbet. I’m a huge fan of that duckie and snowman! I think Shangri la really has a good reputation in the Philippines. It’s great for businesspeople who are looking for luxurious accommodations. What I love about the food you showed is that although it’s heavy, it doesn’t look excessive! I love Chinese food and Summer Place looks a lot more richer now for a dining place. Your review is so good, I want to try the snowman and all the appetizers you’ve liked. I’ve got a chance to dine there a long time a go, and I loved their food. Now I guess it’s another good time to give it a go for the holidays. Thanks for sharing your post, I have an idea where to have a nice, fancy dining again when an opportunity arise. This place looks great! I agree with you that it’s a luxurious design. I can imagine that this is an impressive experience. And so nice that you had lunch there this time instead of passing it by :). I must say: the broth looks really good! I’m glad to read it tasted as well as it looks. 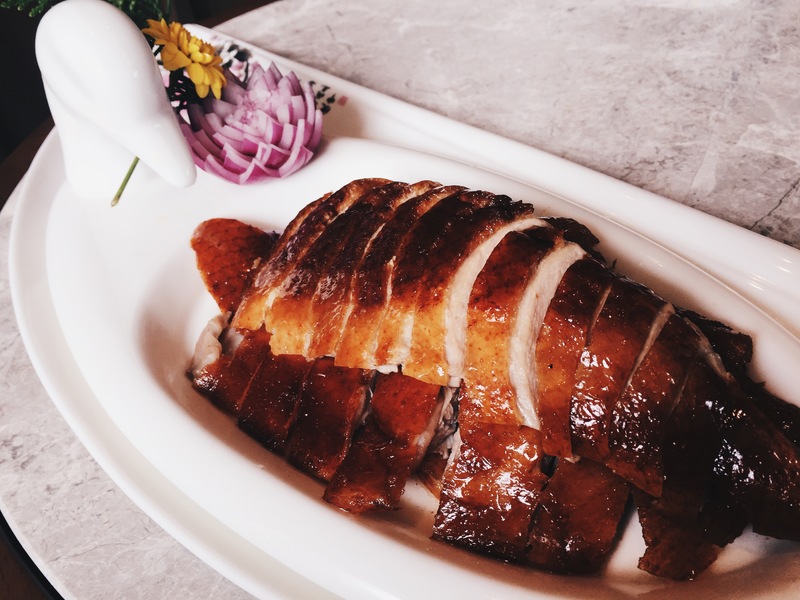 I really like eating duck, so the Roasted peking duck would definitely be an option for me as well. Looks awesome! 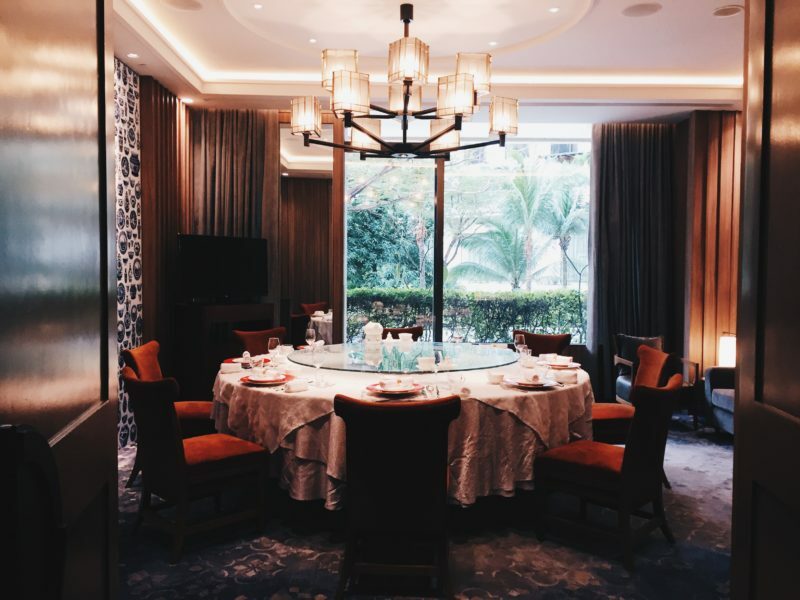 I grew up in the Philippines and we frequently visit Edsa Shangri-La Hotel. I have so many good memories there as a child and still wonder about it from time to time. It has been 8 years since I left Manila and I’m sure so much has changed already. Thanks for this post–you brought back great memories from my childhood and gave a tug in my heart that I need to visit again, soon! Wow, this is a well organized review. I can really imagine how each food category should be tested like while reading your article. I would love to try their dessert cause I’m always a big fan of sweet since then. Hi, Marge. I never knew they had a renovation. I had the chance to eat there too with co-parents couple of years ago, I think. What I remember is that the food is mostly excellent. It’s not cheap, but the quality of food and place merits the price they are charging. I have not had Peking Duck for a while now, so I am sort of like craving. Not as much as I would if it were roasted goose, though. LOL.